The now world famous Mel-Meter, model with a built in Rem Pod feature, the Mel Meter Mel-8704R-Rem a custom built and designed for paranormal research device like no other. This model has four main functions packed into one beautifully designed unit. The first and main feature is a high quality pro AC EMF meter, it also features a digital thermometer with ambient thermal probe a red IR safe illuminator on the front and now a Rem feature with EMF radiating antenna. The red flash light is an ideal low key working colour maintaining relative darkness. All the readings and setting Information are clearly displayed on the Red LCD backlight display. The EMF meter has become an absolute must in the field of Ghost Hunting and Paranormal research. Originally used in environmental control it is designed to detect and analyse electromagnetic energy which is produced by many things in both the natural and man made world. It is believed, that what we perceive as spirits or entities, have a close association with this form of energy, whether they comprise of it or or draw it from their surroundings is still part of the mystery. What we do know is that EMF readings, as they are known, often seem to be present at the same time as paranormal activity. The Rem feature uses a mini extendable antenna that emits its own magnetic Field around it, if anything interacts with the field the unit will trigger illuminating bank of graded LEDs above the main window. This new device upgrade now also includes our popular ATDD Hot and Cold Spot detection Audible Alarm circuit. This new feature is intended to further help promote and advance Paranormal research. Runs from 1x 9v PP3 alkaline battery (not included) also has a DC input socket for workshop use. We also include the official Mel-Meter carry case, a high quality padded black carry bag with velcro closing flap, belt loop attachment and shoulder carry strap. 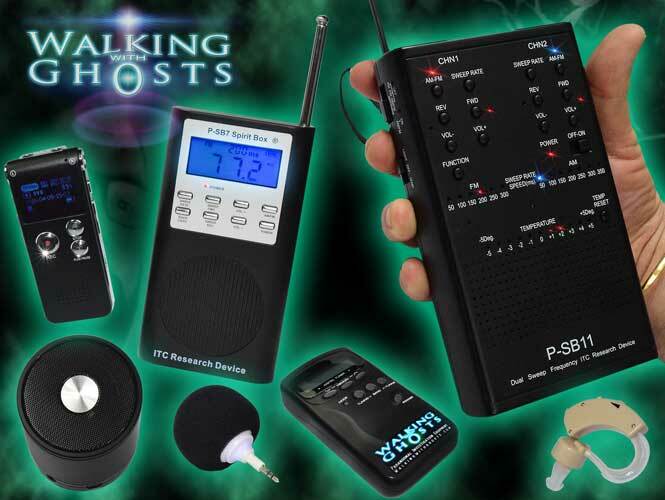 These devices are intended to further help promote and advance Paranormal research. They are also frequently featured on Ghost Adventures and many other Paranormal TV shows and documentaries. 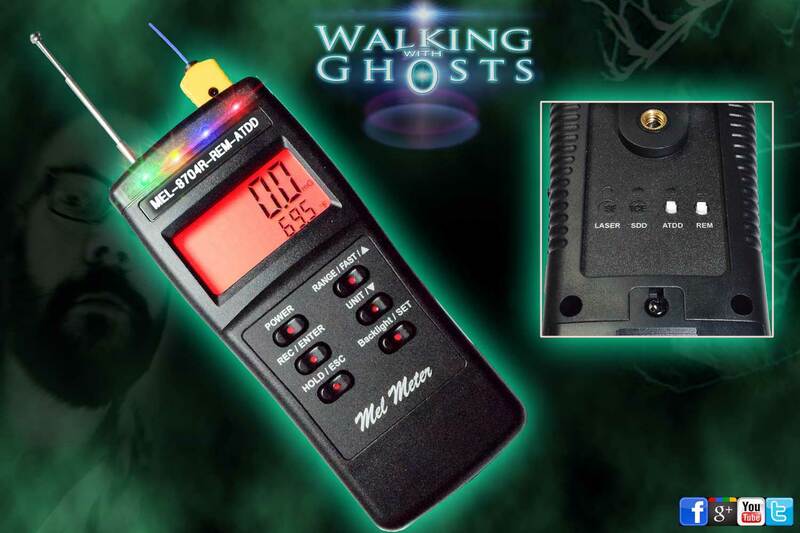 Mel Meter 8704-R is designed exclusively for paranormal investigators with ELF Range down to 30 Hz ! This is 20 Hz lower than the K-II range. Custom dual display correlates EMF & ambient temperature simultaneously or for super EMF "Burst" mode, where it can detect super fast changes in the levels for tracking dynamic EMF movement measurement ranges: 20, 200, 2000 uTesla 200, 2000, 20,000 mGauss. Rapid response ambient temperature measurement temperature min/max capture +/- 5 degree hot and cold spot detection with LED indicator and ascending/descending tones. Includes manual baseline correction and auto mute. 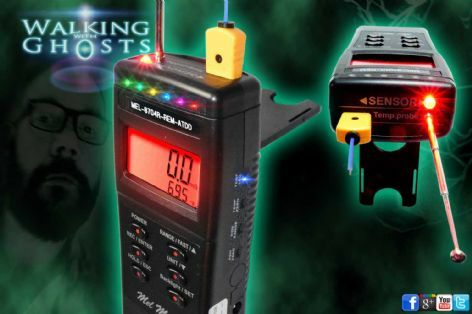 Walking with Ghosts & Funky Lighting are official UK distributors for all investigation devices from DAS Distribution USA, please be wary of fakes and counterfeit copies, we only stock the real thing imported directly from the manufacturer. Please note that for contractual reasons we cannot supply to the USA, please contact DAS directly for your local distributor. its your support that keeps creativity flowing and advances in the paranormal field, Thank You! A range of custom designed tools for paranormal research that were born out of the tragic death of a 17 year old girl. Devastated by his daughter's death in a car accident in 2004, Gary Galka and his family started to experience unexplained phenomena at home only days after the tragic accident. Using his electronics expertise Gary began designing devices and techniques to try and enable his daughter to communicate more easily from the other side. The first tool in the range was the Mel-Meter 8704, named after his daughter (Melissa) the year she was born and the year that she passed. Gary and his family believe they now have regular communication with Melissa assisted by these tools and have now made the devices and techniques available to the wider paranormal research community. New devices are being developed on a regular basis to join the range of Mel-Meters, sweep band Spirit Boxes, Rem Pod environmental detectors and many more. 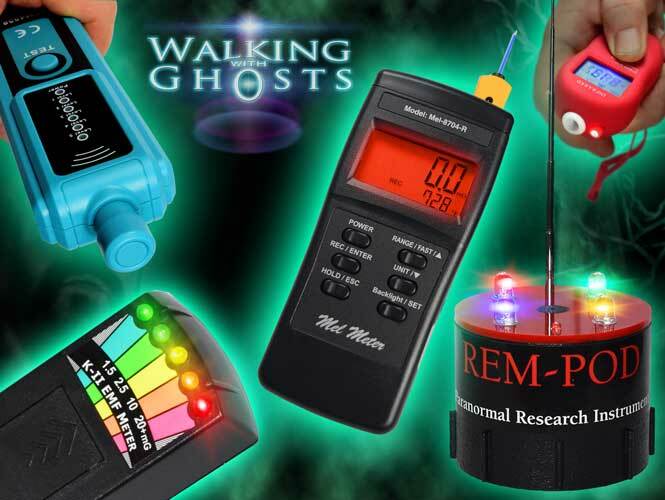 Gary's paranormal research tools are now regarded as some of the best in the field and have become the industry standard for paranormal groups, TV shows and researchers across the globe.